In ‘One thing you must do’ I’ll be recommending the one thing I think all visitors should do in a city I’ve traveled to. To kick off what hopefully becomes a series, first stop – Seoul, South Korea. Located 8,304km and a 10 hour 30 minutes flight from Sydney, Seoul (서울) is a global metropolitan city akin to Hong Kong, Tokyo and New York. The globalisation of major conglomerate brands such as Samsung, LG and Hyundai-Kia and the k-pop phenomenon best exemplified by Psy’s ‘Gangnam Style‘ saw visitor numbers to Seoul break 10 million in 2012. Yet it’s probably not the first travel destination that comes to mind for most Australians. Apart from every exciting thing a modern metropolitan offers, Seoul’s history dates back more than 2,000 years presenting a rich cultural experience. 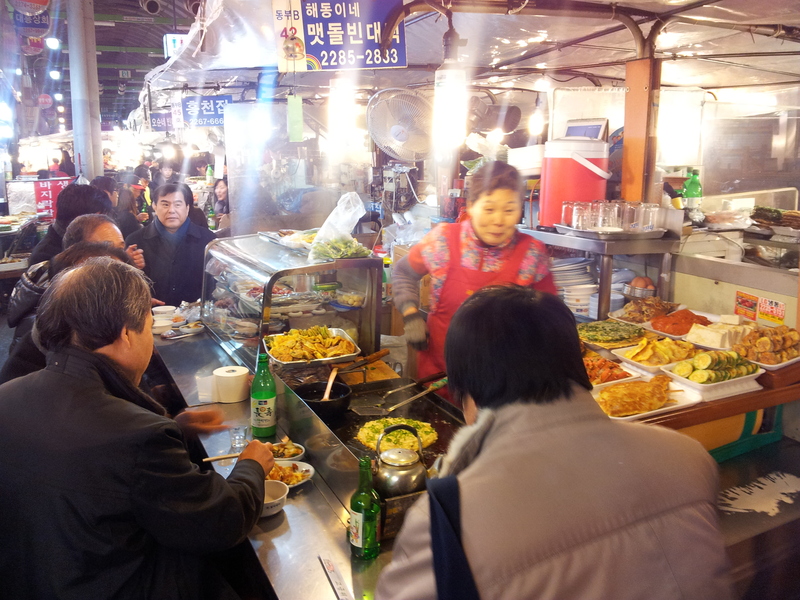 Food is definitely an important part of Korean culture and that’s why experiencing it is one thing you must do in Seoul. 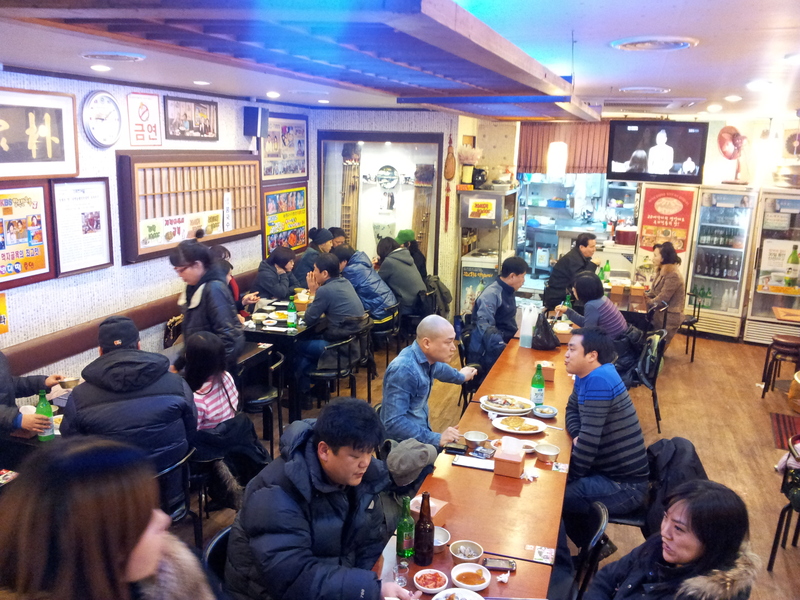 O’ngo food Communications run group and private tours allowing visitors to experience Korea through cuisine. 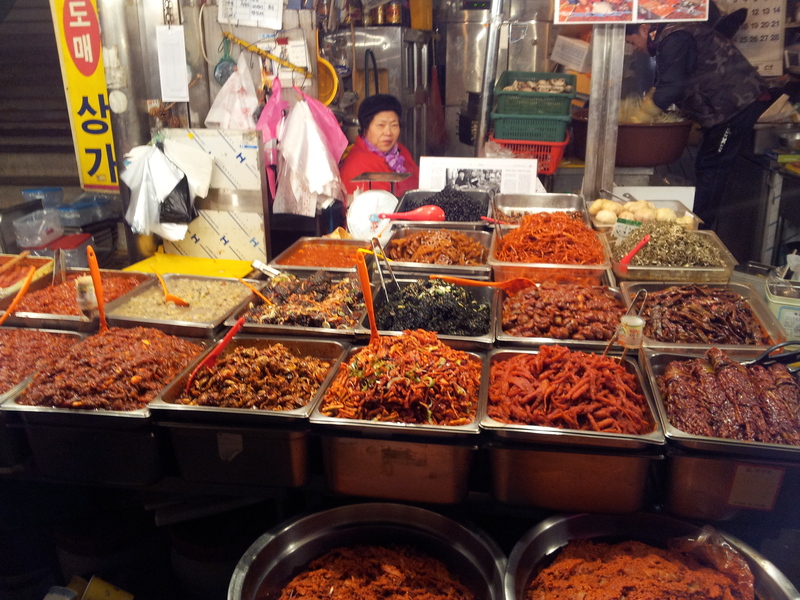 On a recent visit, we took a private 4 hour night dining tour where our guide Chuk took us up and down alley ways and markets to find the most authentic Korean flavours. Explaining along the way the origin and etiquette of Korean dining, the tour was an insightful and delightful way to get a good glimpse into the Korean way (and a good chance to practice our broken Korean). From pork barbecue (Garmaeggisal) grilled on charcoal grills, spicy kimchi tofu, Korean pancakes to Soju (kind of like vodka) and makgeolli (rice wine) tasting…teleport me there now! Everything was a highlight but visiting the Gwangjang Market – Seoul’s oldest market and street-food central – was a pretty unique experience. The food selection there is mind-boggling and the only limitation is really your own stomach space. We’ve been on a few food-tours around the world and this is honestly one of the best. In fact, we can’t wait to go back and do a different tour early new year. 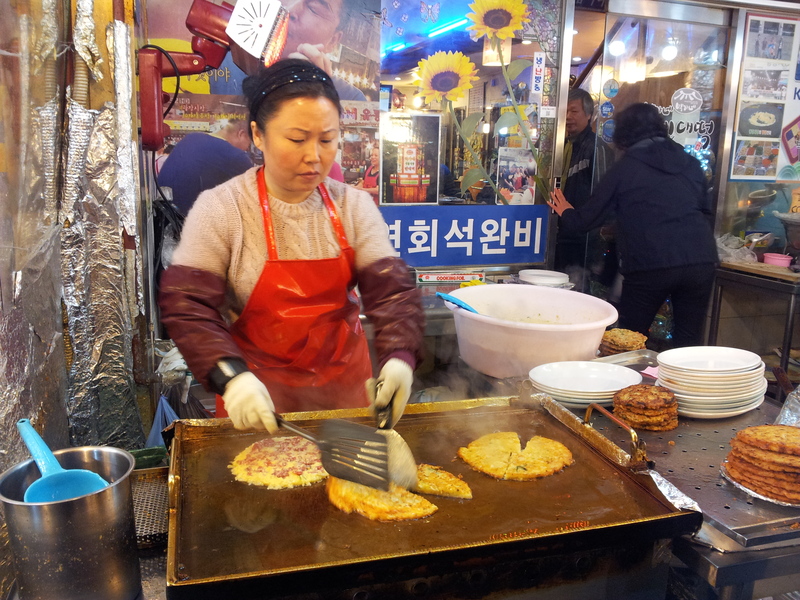 If you’re planning a trip to Seoul, this is a must!